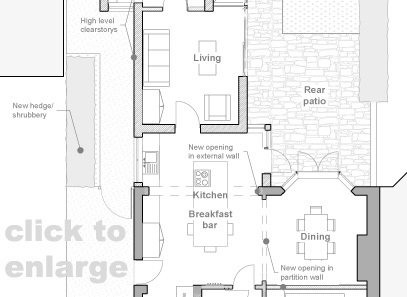 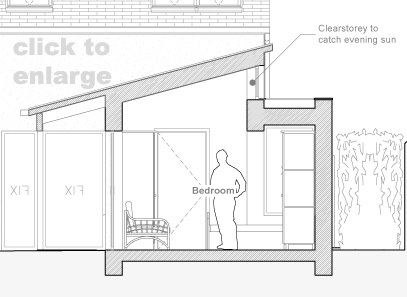 This small extension to the rear of semi-detached suburban dwelling takes special care to step back different rooms so as to keep views of the garden from the main house. 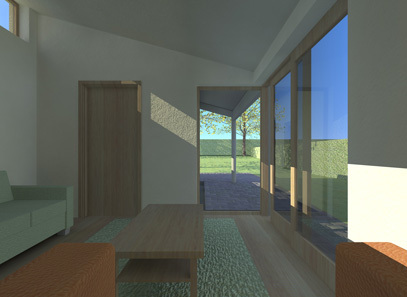 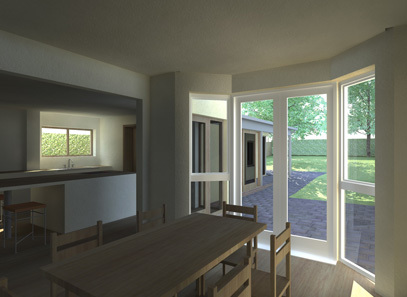 Designed for an elderly relative the interiors are designed to frame a variety of views from seating and sleeping areas so the home can still be enjoyed with limited mobility. 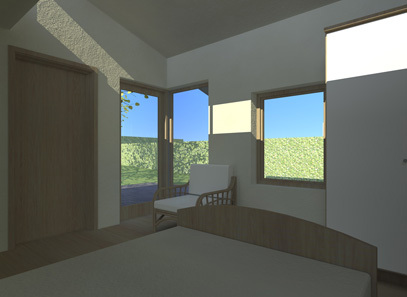 A tricky orientation made it hard to both design a form that would not overshadow the garden and position windows to admit sunlight. 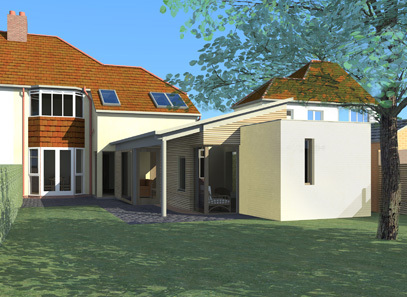 For this reason a roof form was chosen which slopes down to a low level towards the garden and has a string of clearstory windows beneath its highest edge which animate spaces with sunlight.